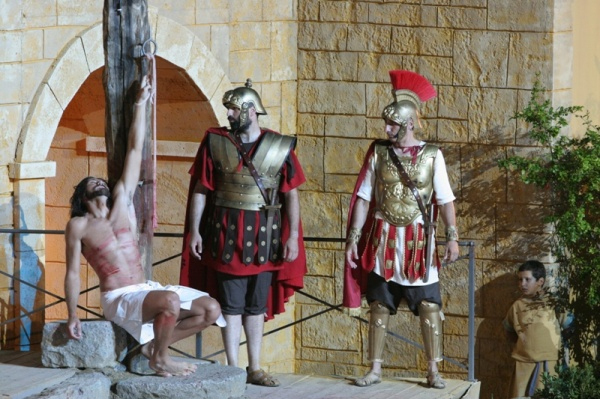 Play of the Passion of Christ by the “Associazione Teatro Popolare di Sordevolo”. – 200 years of “Passion”. These are only some of the numbers which can give the idea of the magnificence of the Passione di Sordevolo: the greatest popular play in Italy. An impressive representation, sacred in the topic, popular in its realization, which every 5 years actively involves the entire community of Sordevolo, a 1,300-inhabitants village situated at the foot of the Alps framing the Province of Biella. The 2020 edition of the Passione di Sordevolo will take place from June 13th to September 27th, 2020; an exciting show able – with its touching realism and special effects worthy of the best colossal – to take the spectator 2,000 years back in time! During all a summer the people of the whole village become a theatrical company: workers and professionals, shopkeepers and clerks, retired people and students, all of them strictly volunteers and obviously living in Sordevolo , set up a play, an unique one of this type in Italy, performed by amateur-actors, young and not so young; that work and prepare themselves during several months before, with strong seriousness and commitment, to the great event. 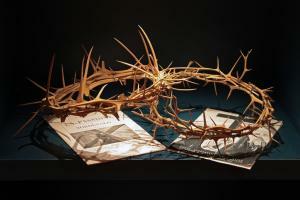 Herod’s palace, the Sanhedrin, Pilate’s Preaetorium, the Garden of Gethsemane, the last Supper room, the mount Calvary. Sordevolo is in the middle of a religious and cultural area, with evidences such as the Shrine of the Black Virgin Mary in Oropa and the Graglia Shrine. The Sacro Monte di Oropa, in particular, is an imposing place of spirituality where more than 16 centuries of religious history are represented. Not by chance the Biellese shrines are members of the Piedmont Shrines System protected by UNESCO. Here have been recently opened the “Cammini dell’Uomo”, well indicated and fitted out pathways on the tracks of old pilgrims that walked along the Via Francigena. Reaching Biella to watch this play is a very good opportunity to visit and discover not only the Piedmont spirituality places, but the province of Biella in general. This is a land historically bound to the textile industry, with its historical mills and the luxury outlets, but also a natural land with several parks and nature reserves, with plenty of open-air sport facilities, all this makes Biella the Italian capital of outdoor. The beauty and the poetry of this play is in its simplicity and humility. Important culture men, such as Delfino Orsi, Renato Simoni, Franco Antonicelli, Italo Alighiero Chiusano, have underlined in different times the historical realism and the artistic content of the Sacred Play of Sordevolo, publishing news and comments through the national print. Furthermore it must be pointed out the “Passione dei Bambini” (Children’s Passion), entirely played by the local children, completely performed in the same way the Passion is. (three dates fixed on the calendar). The Passione di Sordevolo has not only a daily and immediate worth, it must be seen as a continuation of a work born several century ago and has to be an example for the future generations. The Committeee rules impose to give the net proceeds to charitable institutions.